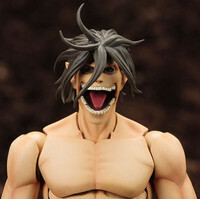 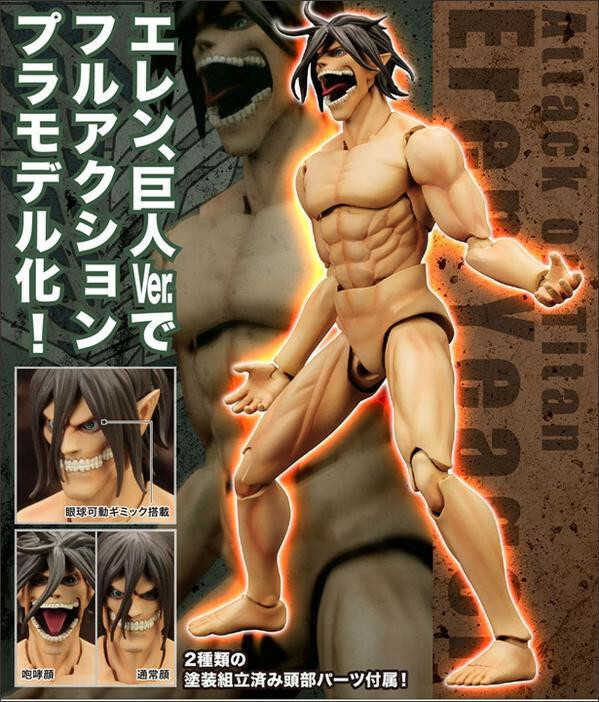 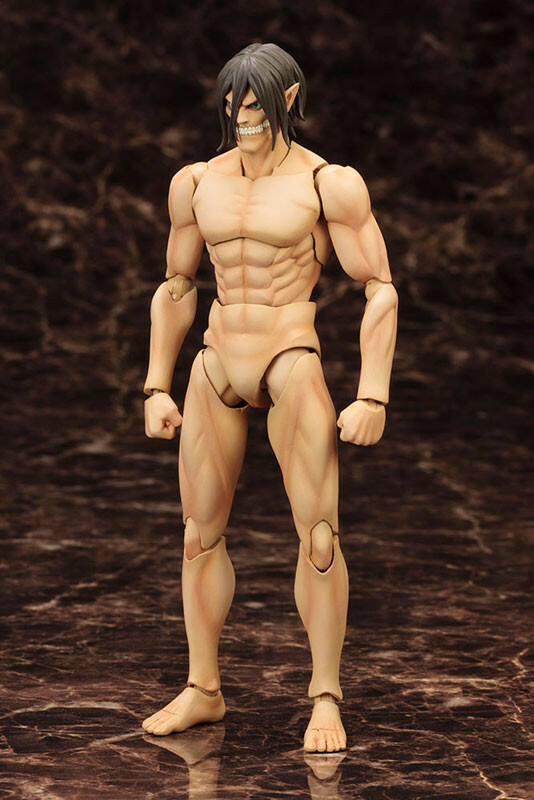 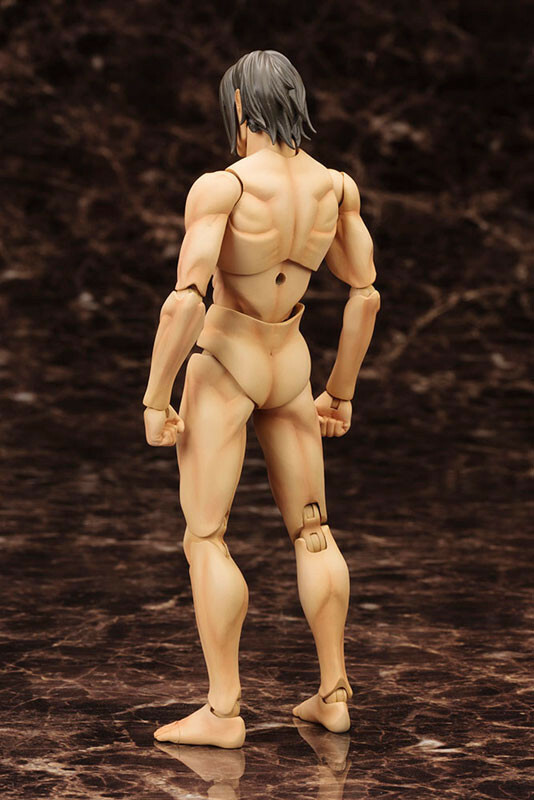 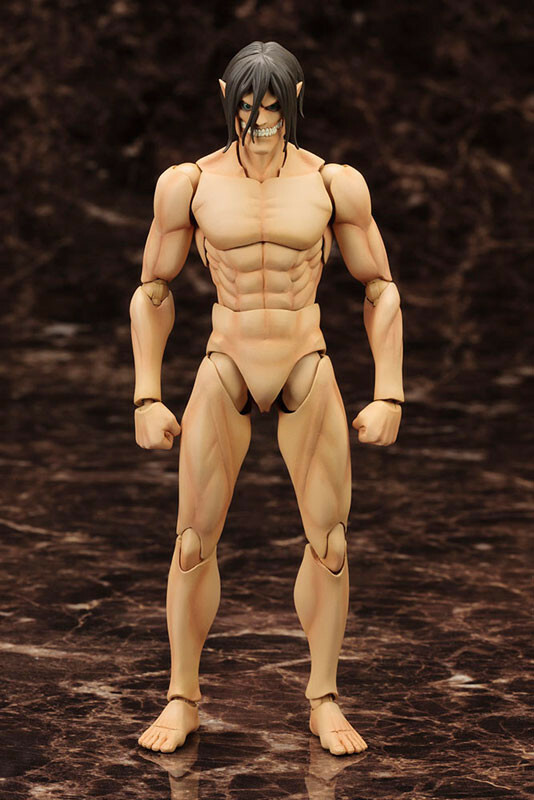 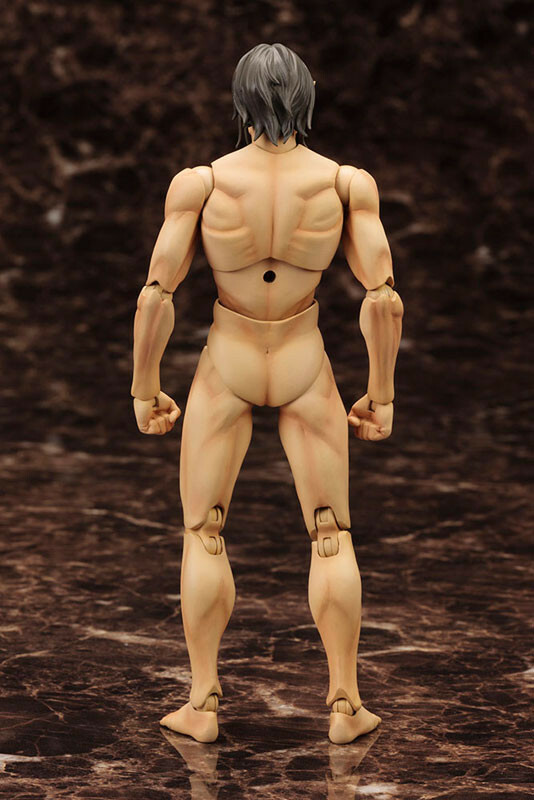 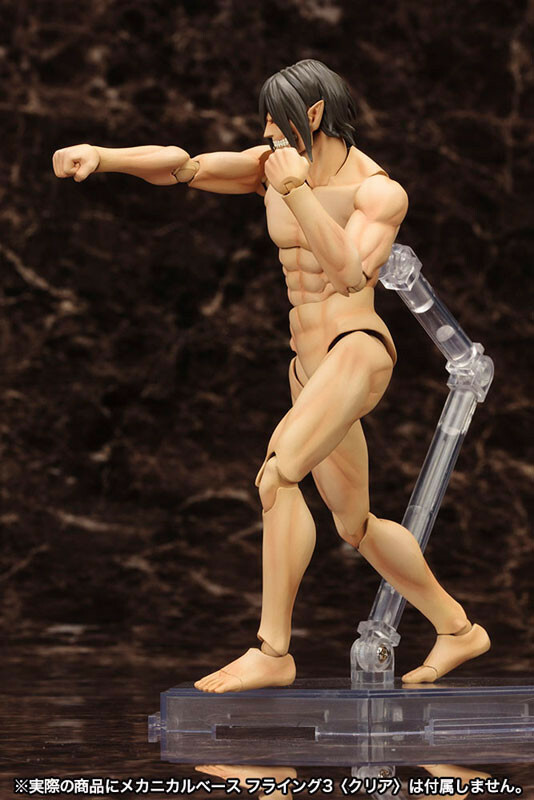 Kotobukiya has stepped in to solve the problem of figure collectors whose collections were lacking in scary naked guys! 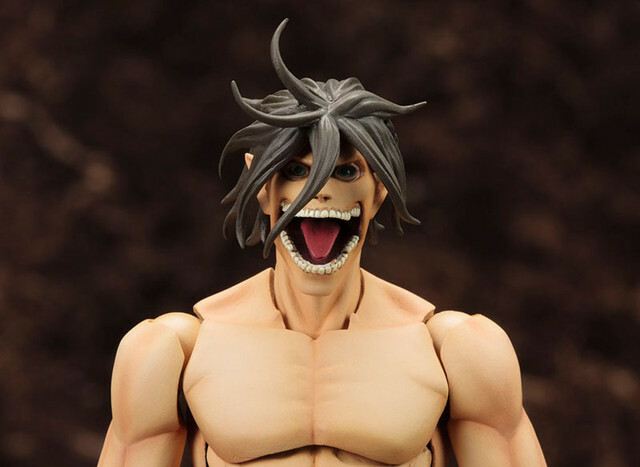 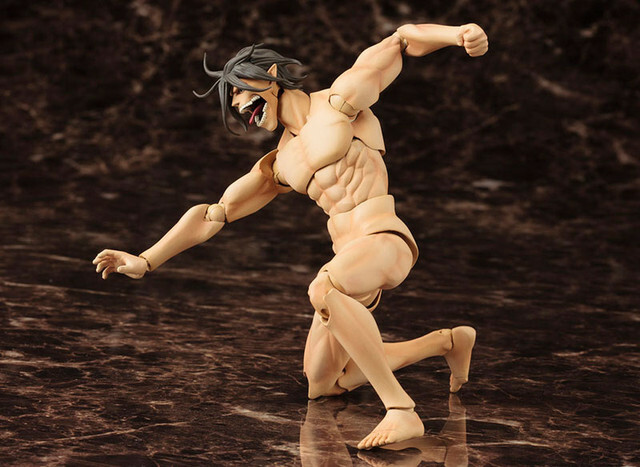 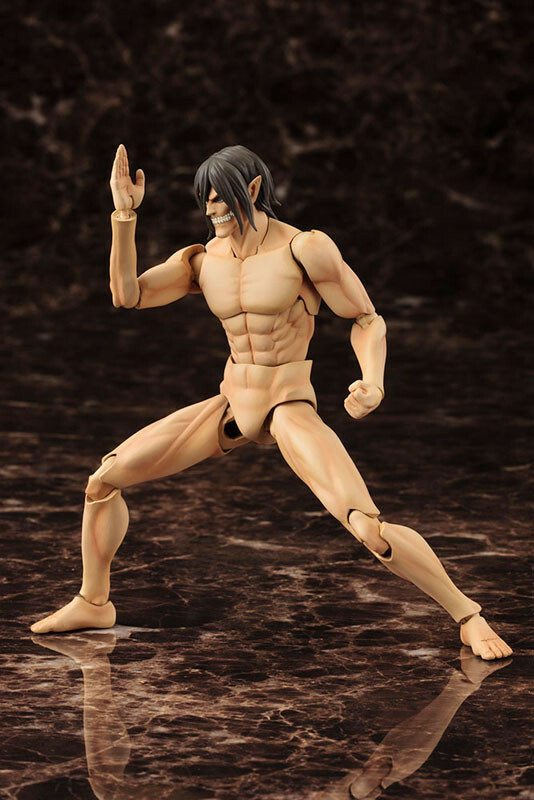 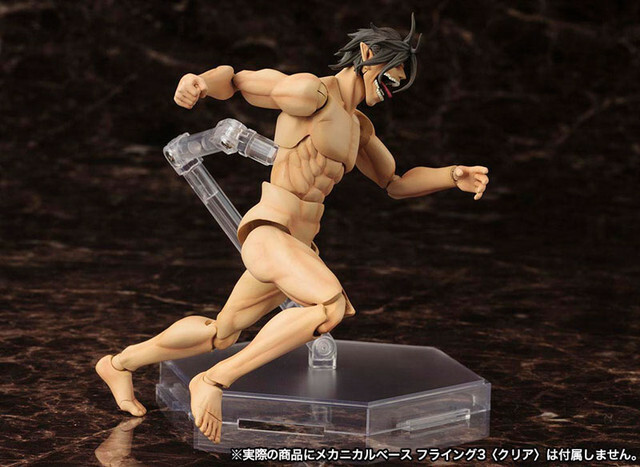 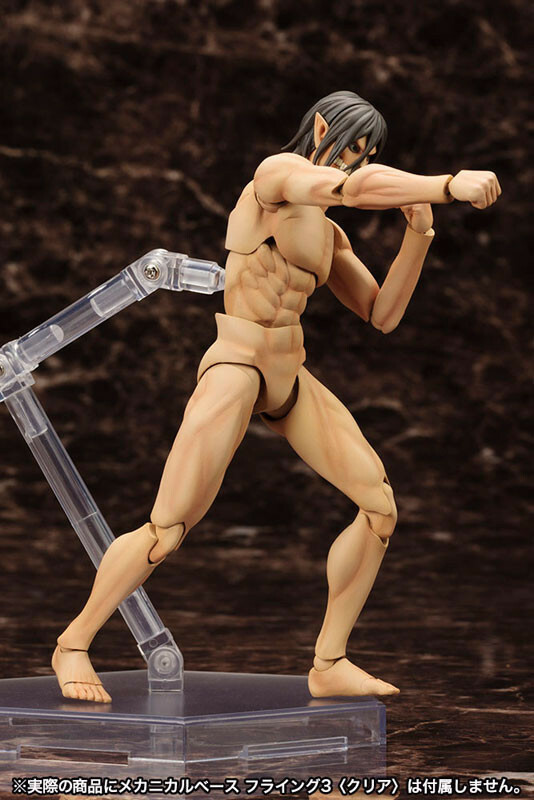 An action model of Attack on Titan's Eren in his titan form has been scheduled for February release. 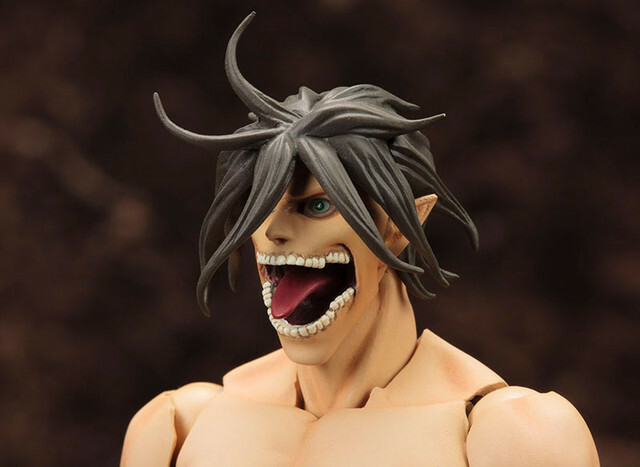 Sculpted by Junnosuke Abe (RESTORE) and Yuichi Kuwamura, it features regular and shouting expressions, and it's literally articulated up to the moveable eyeballs. 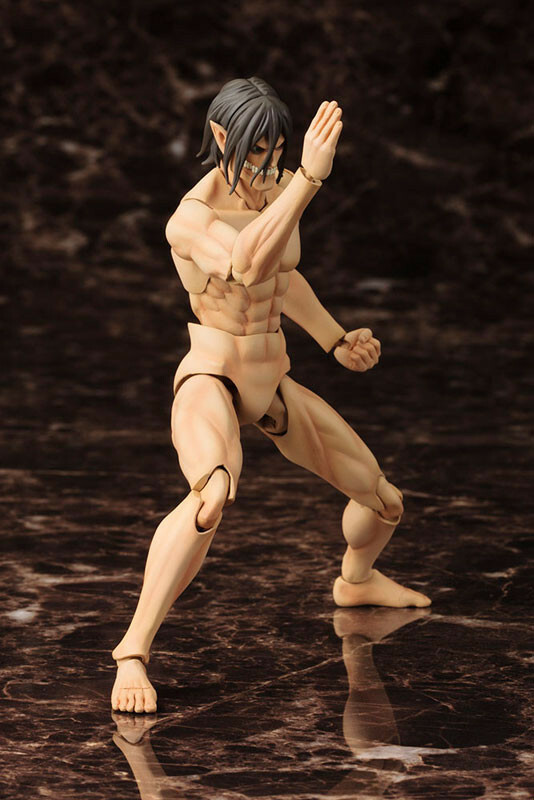 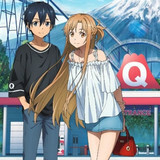 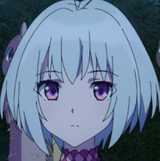 The 16cm figure sells for 4,968yen. 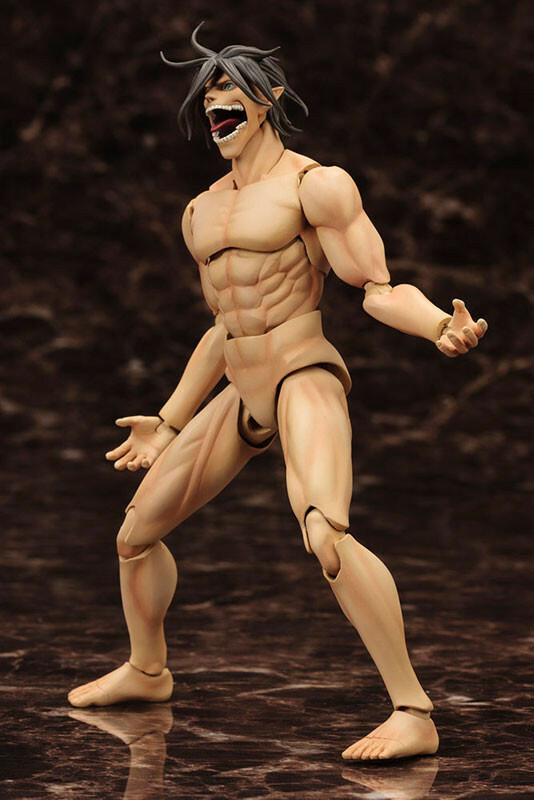 Flying Base Neo sold seperately.